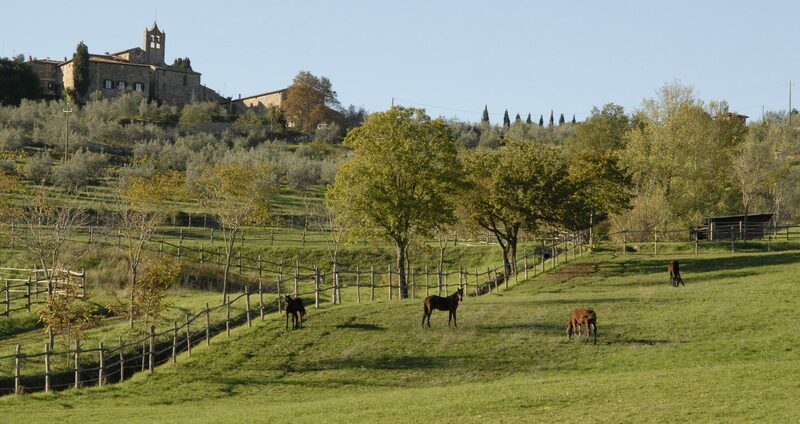 In Tuscany, there is a magical place, known as the Conca d’Oro. 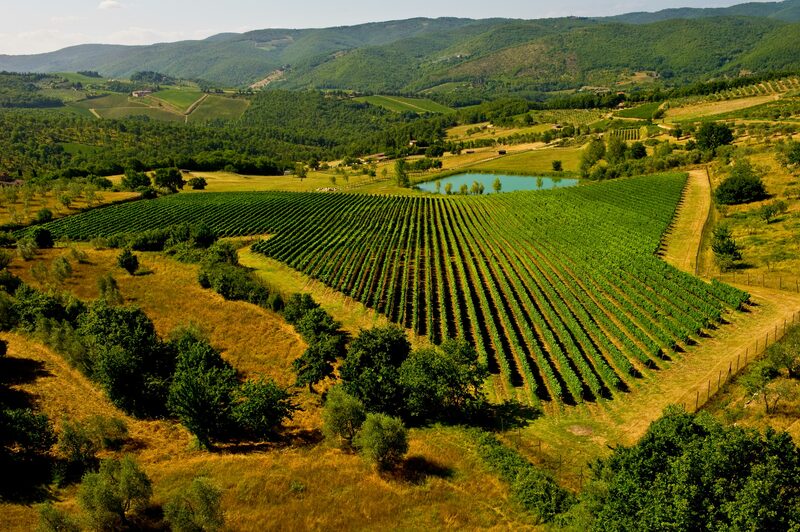 It consists of a handful of hills surrounding Panzano in Chianti, where the grapevines have always yielded wines of unusual elegance and depth, wines that preserve throughout the world the lofty reputation of Tuscany. Tenuta degli Dei lies precisely in the heart of this unique spot. It has been the historic estate of the Cavalli family for more than thirty years and for a long time the designer Roberto Cavalli has used it as a retreat from the glamour and bustle of the fashion world. Then in 1989 his eldest son Tommaso turned the country house into a productive business, centered around his two great passions: breeding competitive trotter horses, and, since 2000, producing elegant and noble wines. 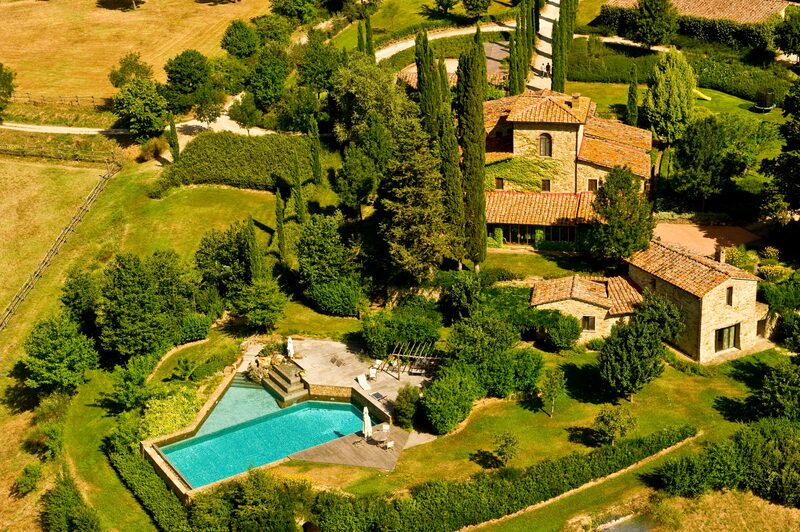 The estate is located 30 km from Florence, just behind the village of Panzano in Chianti. A landmark is the Pieve of San Leolino, the parish abbey of the 9th century which attracts admiring glances near the Tenuta, nestled between the hills of the Conca d’Oro, due to its Romanesque architecture. Directly behind the estate, a seventy-hectares, dreamlike area spreads out, which is home to forests, olives, pastures and meadows as well as five hectares of vineyards. The vineyards – 400 to 450 meters above sea level – are exposed on the highest and sunniest areas of the property. Vineyards were planted in closely spaced rows of Merlot, Cabernet Franc, Cabernet Sauvignon, Petit Verdot and Alicante. On the lower areas the enclosures for foals, mares and stallions are housed. 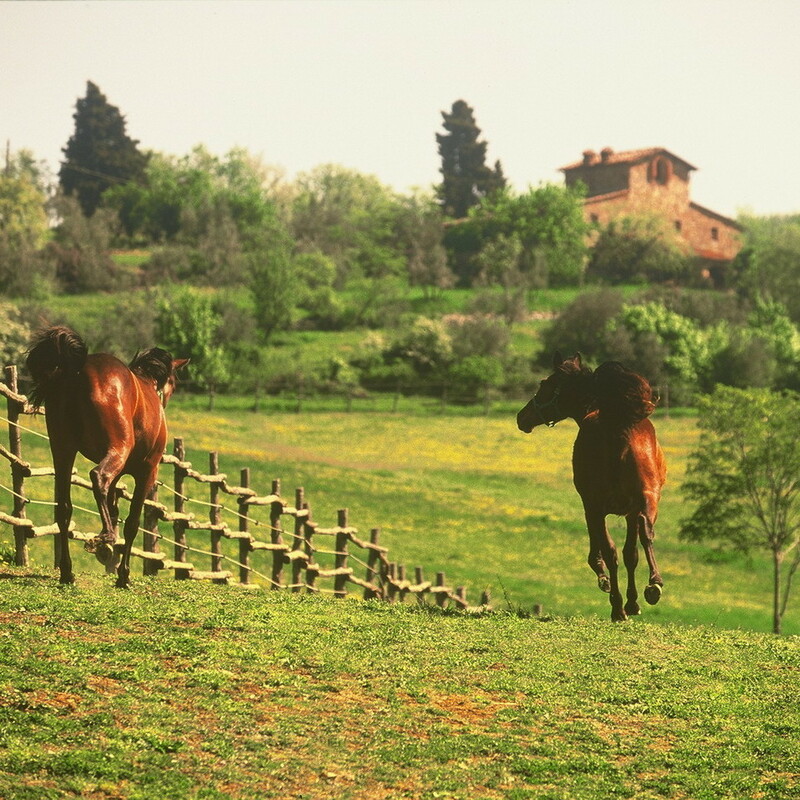 The stables can be found next to the farmhouse, which is the seat of the estate and at the same time the home of Tommaso Cavalli. There was, even then, a vineyard, but it was unkept, and bore no resemblance to what Tommaso Cavalli would aspire to years later. The dream began with the new Millennium. Indeed, the soil analyses were carried out in 2000, followed by the long discussions and the breaking of the ground to plant the vineyard. In the same year, another Cavalli property turned to wine: four hectares (including a plot with 2000 Alicante vines) on the grounds of Roberto Cavalli’s villa, located in the hills just south of Florence, within the city limits. There's the desire to draw the most from a well-loved land and at the same time to try to bring a new – and completely different – value to the international prestige of the family brand, following a new and original path. This piece of land, too, faces south and, like the vineyards in Panzano, enjoys the sun all day long but the pedoclimatic conditions differ considerably from those in Panzano. It’s just a few meters above sea level, and has a Florentine climate characterized by high summer temperatures both night and day, and lower soil humidities. Here, the clayey soil fraction prevails, yielding deeply colored, full, long-lived wines. In both vineyards the vines, which were planted in March 2001, are pruned to the cordon spur system, with a planting density of 6,700 vines per hectare. 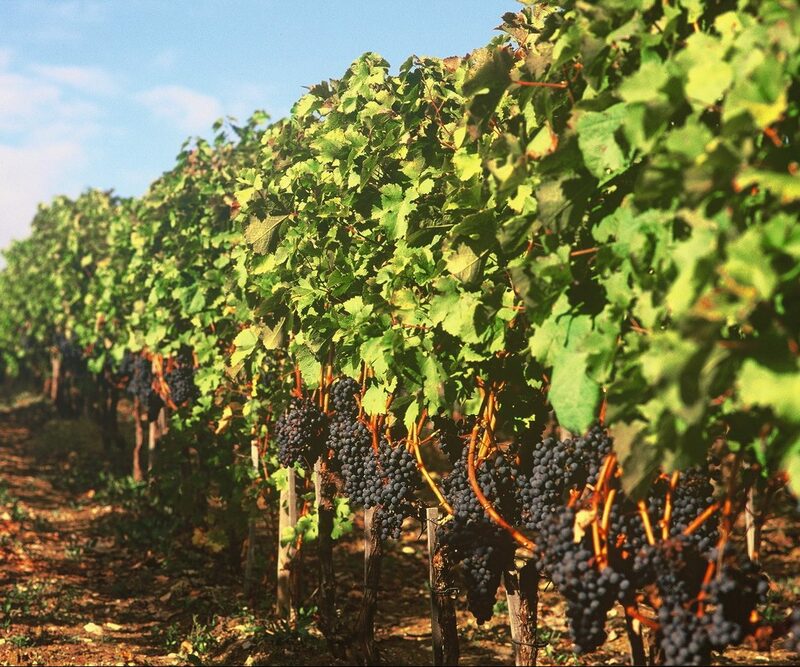 In all, 50,000 vines, which, when they have all entered production, will yield about the same number of bottles. The planted grape varieties benefit from two different platforms, which in turn produce two wines with very different personalities. However, from an oenological point of view, the two vineyards perfectly complement each other in the glass. 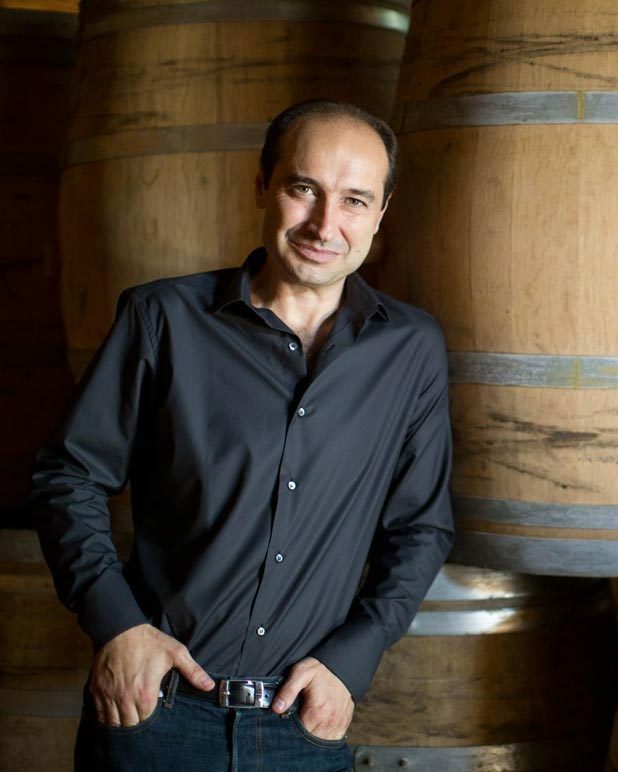 Since 2012 Tommaso Cavalli has also decided to expand its red wine range with a small production of Chianti Classico made of Sangiovese and grown in the third vineyard of three hectares, located in Panzano. 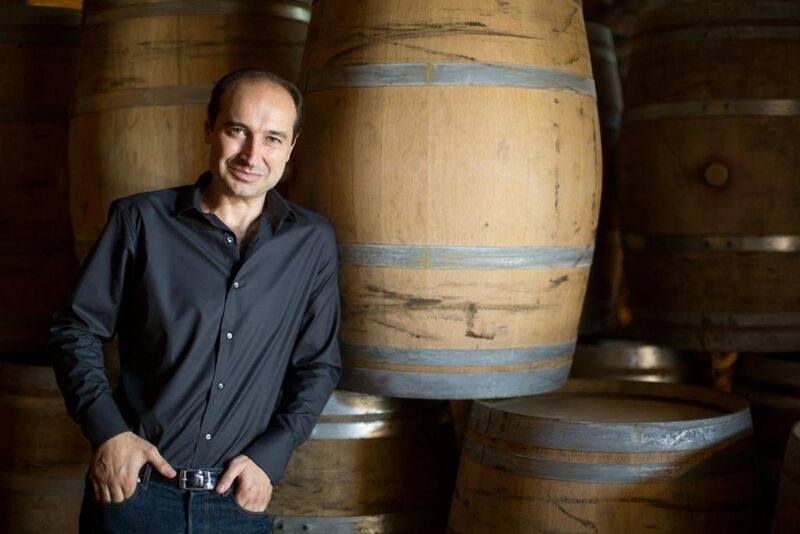 If you ask Tommaso Cavalli what drove him to raise trotters and throw himself into this adventure that demands, perhaps more than any other, patience and perseverance, you will hear it was the desire to make a great wine. But behind this, the desire of all winemakers, there’s more. There’s the desire to draw the most from a well-loved land, and at the same time to try to bring a new – and completely different – value to the international prestige of the family brand, following a new and original path. IGT Toscana Cavalli Tenuta degli Dei, the first wine in chronological order, is still today the winery’s first wine, that which more than any other embodies the philosophy and identity of the brand. And that is precisely the reason that it has undergone an important evolution. In the initial vintages, its blend was comprised of all the grape varieties grown by the winery; then, from the 2008 vintage forward, Cavalli decided on a blend of 50% Cabernet Sauvignon, 35% Petit Verdot, and 15% Cabernet Franc, thus imparting that self-confident and even mysterious character that is the quintessence of its soul. 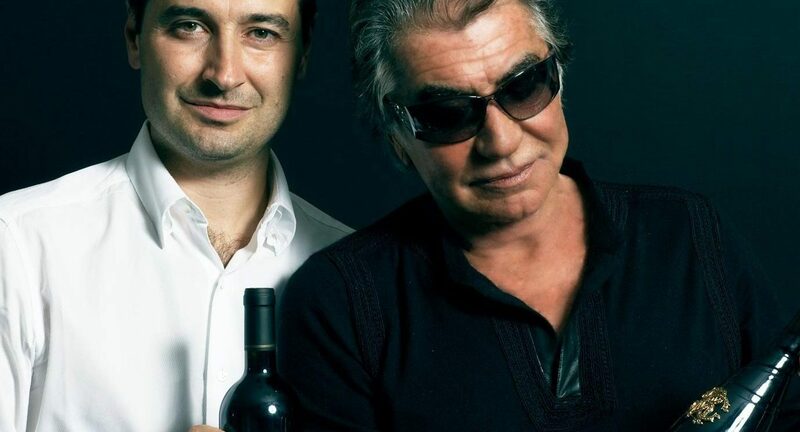 Alongside the top brand is IGT Le Redini, firstborn of that 2008 harvest, almost a monovarietal Merlot (90%), with just a bit (10%) of Alicante from the 2,000 vines planted in Roberto Cavalli’s garden. This wine is youthful and smooth, designed to offer the market a wine that can be enjoyed without waiting too long. Concluding the line — for now — is a 100% Sangiovese, the Chianti Classico Forcole DOCG representing a tribute to that area’s noble tradition, with its nonpareil components of pleasurableness and fruit. The production of all the wines observes a scrupulous process that has as its goal bringing into the cellar only the finest fruit. In the vineyards, the operations are unceasing and always performed by hand, from monitoring the number of buds, to working the soil, to green harvesting. The harvest usually begins between late August and October, which is quite a lengthy period for the size of this winery, but the six individual grape varieties ripen at different times, and at Florence, they ripen about 15 days earlier than at Panzano. When the grapes arrive, separated by individual parcel, they are quality-selected by ten people on two sorting tables. On the first, imperfect clusters are eliminated, and on the second any small bit of leaves or stems. The “successful” berries are thus finally ready to be gravity-fed into temperature-controlled, tronco-conical steel tanks. Fermentation lasts about 20 days. In order to maximise extraction, careful punch downs of the fermenting must are performed several times a day. Once the wine is ready and drawn off, it flows by gravity to the level below into French oak barrels and tonneaux, in which the malolactic fermentation takes place, followed by maturation. 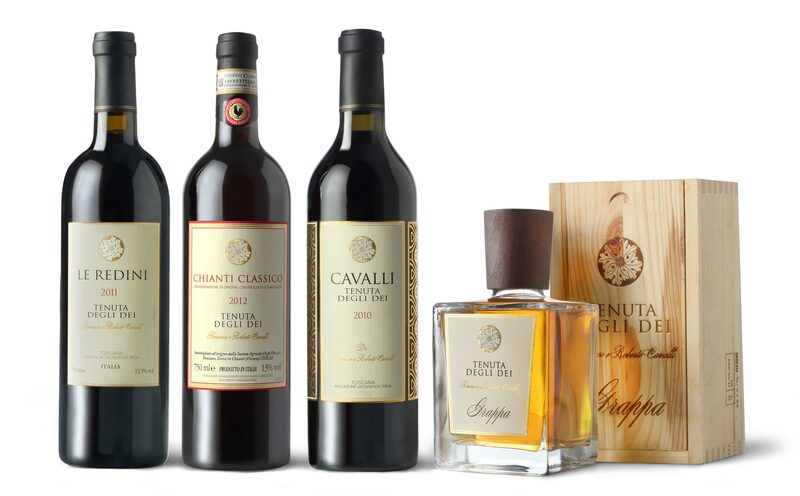 The wine that will become IGT Cavalli Tenuta degli Dei matures 18 months in new and once-used barrels and tonneaux, while the more youthful red rests 14 months. 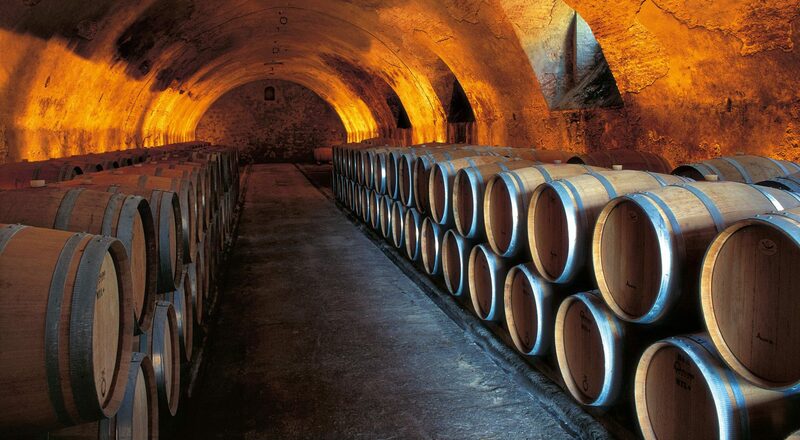 About 50% of Chianti Classico spends some 14 months in once- and twice-used tonneaux, and 50% in concrete vats. And then, the wines are assembled. The cellars, which were completed in 2004, are adjacent to the Panzano vineyard, and occupy the space under the Pieve di San Leolino, whose foundations date to the IX century. The upper chamber represents the strategically most important place. The historic ceilings and the preserved entablature show the architectural style of the region. At the entrance is the receiving area for the grapes, with the two selection tables. The chamber proper is occupied by the fermentation tanks, while there is, in the center of the floor, a trap door through which the wine is transferred to the underlying aging cellar. The underlying chamber is ample, almost entirely below ground level, and has a barrel-vaulted ceiling of exposed stone. Here the barriques rest – one really can say – in religious silence, protected from view by a heavy, ancient door. 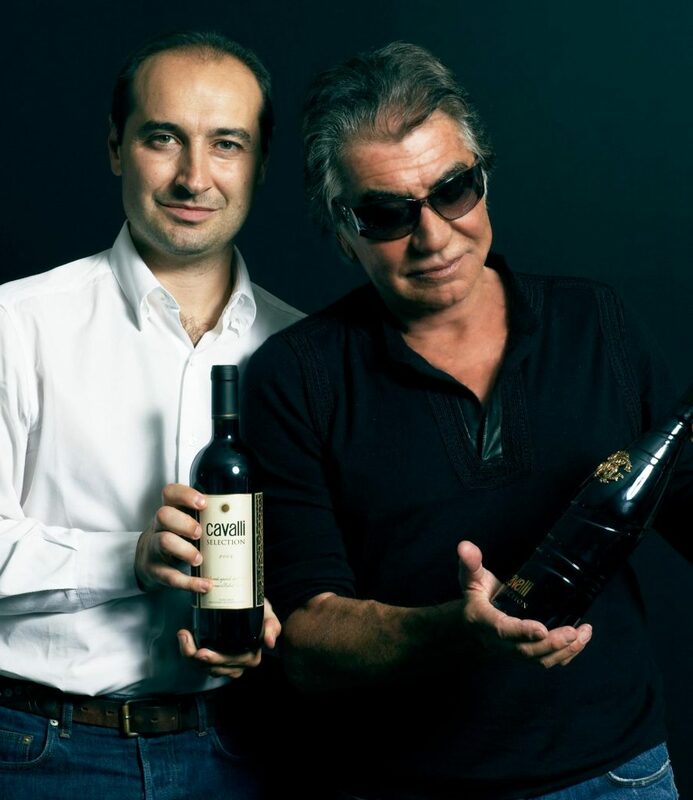 Although Tommaso lives his passion for the Tenuta degli Dei 365 days a year, his father Roberto Cavalli takes care of the design of the labels. They are borrowed from the designer’s large fashion collections. On the other hand, the logo of Tenuta degli Dei shows a detail from a painting by Giuseppe Rossi (1876-1951), the grandfather of Roberto Cavalli. For many years, the well-known painter directed the Scuola Fiorentina di Pittura (Florentine painting school). Some of his paintings can be admired today in the Uffizi Gallery in Florence.